Back in October of last year I donated about a foot of hair and my girls have been talking about it ever since. 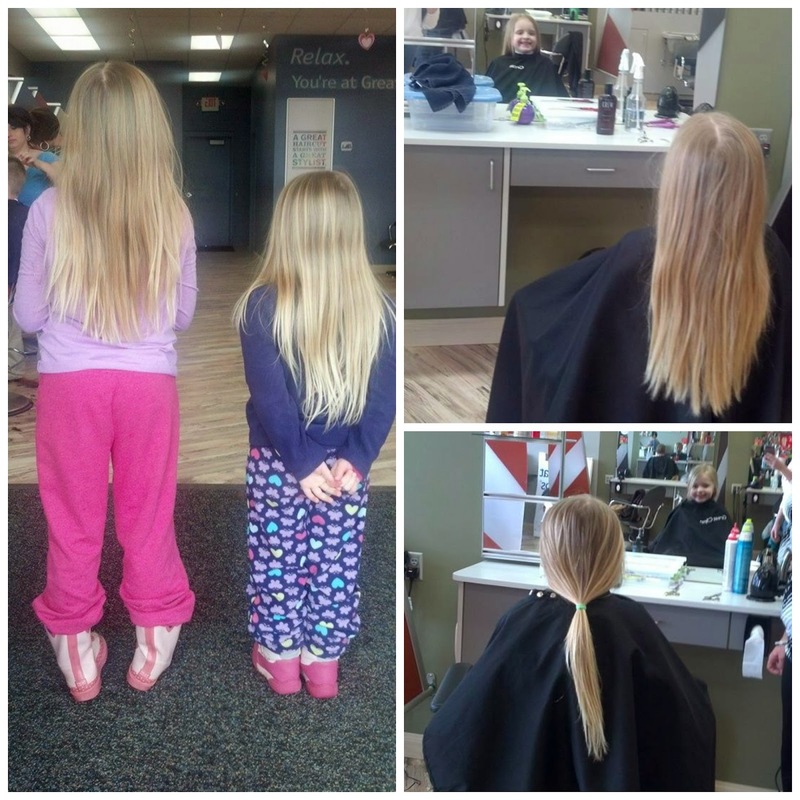 When I told then that they were going to get their hair trimmed this past weekend my oldest daughter came to me and said that she wanted to donate her hair. I was a little surprised but I was all for it. 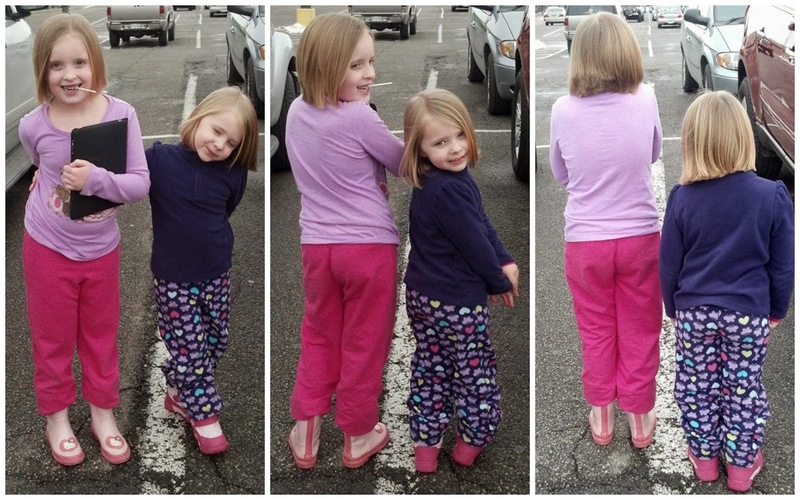 She said she wanted to "give her beautiful hair to another little girl so they could feel pretty too." I almost cried I was so proud of her. My youngest hear this and said, "I'm not giving away my hair!" lol Fast forward a couple days and as she sat in the haridressers chair and saw Maddie's hair get cut she announced that she wanted to give her "pretty hairs away too." I asked her if she was sure then told the hairdresser to go ahead and cut it. Here they are right before the sat in the chairs then each of them right before they cut. I love that you can see their sweet smiling faces in the mirror. 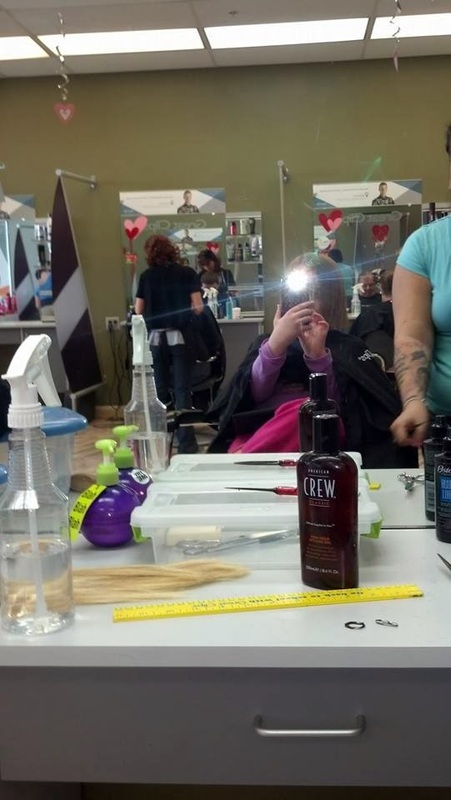 Maddie even managed to get a selfie in during her cut. Oh my goodness. 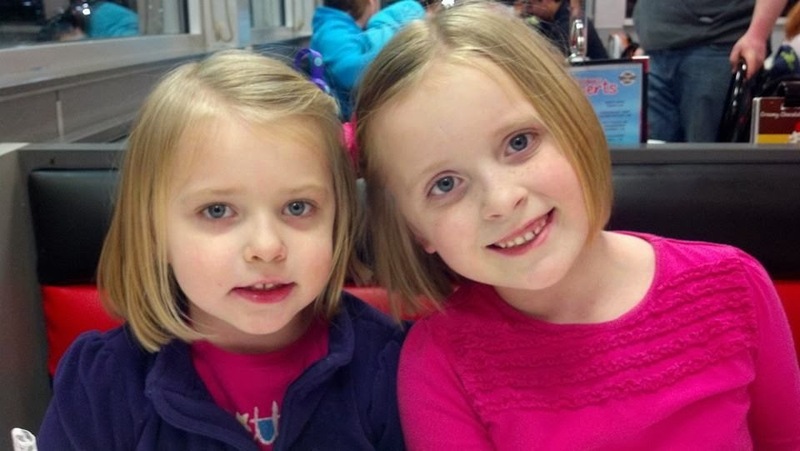 I am a fan of long hair BUT your girls look so chic and yet still adorable with their new hair cuts. Makes me want to cut my hair...though, no one would want my colored hair! You must be so proud of your girls. What big hearts they already have. And, they are right, they do have pretty hair and someone is going to be blessed that they shared.